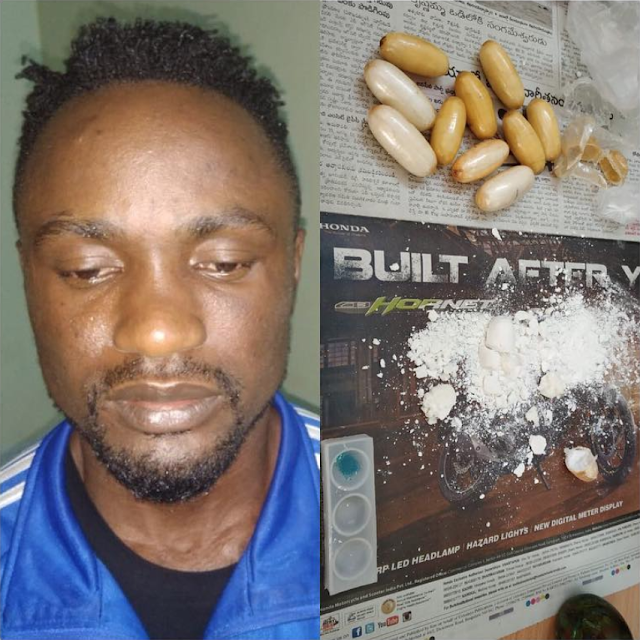 A 30-year-old Nigerian man, Ozy Chukwudu, was, on Wednesday, arrested by the Narcotics Control Bureau (NCB), Bengaluru, with 155.5 grams of cocaine which was being transported from Mumbai to the city. He was apprehended by the NCB sleuths while he was traveling in a bus from Mumbai to Bengaluru. The accused had concealed the drugs inside his bag. The value of the contraband is said to be around Rs 93 lakh in the international market.